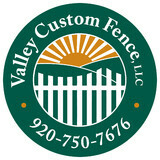 We are a family owned business with over 21 years experience installing fences.From brand-new installations to repair jobs we can provide you with the craftsmanship and experience that will make putting a fence up an easy procedure for you.Our job is to make sure that this experience is a pleasurable and memorable one.All of our wood fencing is put a piece by piece to make sure we can build a project that I can suit your backyard needs.give us a call at 414-334-0951 to set up a free estimate or you can go to our website at CM fencing.com to set one up via email. Established in 1976, Milwaukee Fence Inc. is locally owned and operated. Our full-service fencing company has built an exceptional reputation on providing quality solutions at affordable prices. Since we do not use subcontractors, you can rest assured that all of our employees are trained to provide top-notch customer service. For your convenience and peace of mind, all work is completed in-house and all installations are warranted. We have been installing fences in the metro Milwaukee area since 1945. We are a proud member of the Better Business Bureau as well as the National Association of the Remodeling Industry (NARI). We use the finest quality materials in the industry and provide our customers with the best in labor and service. Badger Fence is licensed, bonded and insured. Fence design plays an important role in your overall satisfaction with the project. We are a small family owned and operated business. 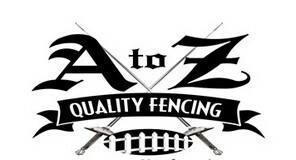 We are dedicated to building the highest quality fencing on the market....at an affordable price. We build cedar, vinyl chainlink, ornamental and many other kinds of fencing. Our Services Include All styles and material fences // Decks & Handrails // Fence Repair // Awnings & Gazebos // Driveway Gates // Much more... 100% FREE Estimates! Welcome Pristine Fence Co. With over 20 years of experience in the fencing industry, we provide quality workmanship for the domestic and commercial markets. In need of a new fence? Look no further, Pristine Fence Co. is Wisconsin's premier fencing contractor! Serving Milwaukee, Waukesha, Racine, Kenosha, Ozaukee, Washington, and Jefferson county's and all City's in the Milwaukee metro area. At Metropolitan Fence we truly take pride in all our work. We offer a warranty with every residential or commercial fencing job we do. Our company is a fully licensed, bonded and an insured Milwaukee Fence Contractor. We perform fence installations throughout the entire Milwaukee & Waukesha metropolitan area. Family owned and operated, we perform all levels of installation and repair. 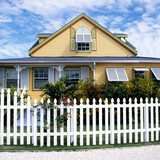 Using over 30 years of experience, we build custom fences. Chain-link, wood, ornamental and PVC are our specialties. A family owned business since 2008 that is Black owned and operated in Milwaukee for the city and surrounding areas. Old school blacksmiths located in Milwaukee's 3rd Ward. We create custom projects of any size using centuries old techniques with hammer and open fire. We incorporate some modern conveniences, to make your project more affordable. Build and design all types of fences, custom cedar, wrought iron, aluminum, agricultural, chainlink, vinyl. Whether you need to secure your yard or just add some decorative flair to your landscape, fences are an integral part of a home’s exterior and curb appeal. Given their security and aesthetic importance, they need to be designed, installed and repaired correctly — luckily, fence contractors in Gibbsville, WI can help. From devising custom fence designs to general fence repair and maintenance, these pros will have your fencing looking fancy in no time! Your Gibbsville, WI fence installation and repair professional will work with you to create your ideal fence. Find a fence contractor in Gibbsville, WI on Houzz. Narrow your search in the Professionals section of the website to Gibbsville, WI fence contractors. You can also look through Gibbsville, WI photos to find examples of fencing and gates that you like, then contact the professional who worked on them.